Unified Sports continues to connect student athletes in the TJ community. When TJ students think of sports, the first ideas that come to mind tend to be football, baseball, soccer, etc., but what many do not always think of is Unified Sports. Unified Sports is an international program that branches out sports to more than just the common athlete. 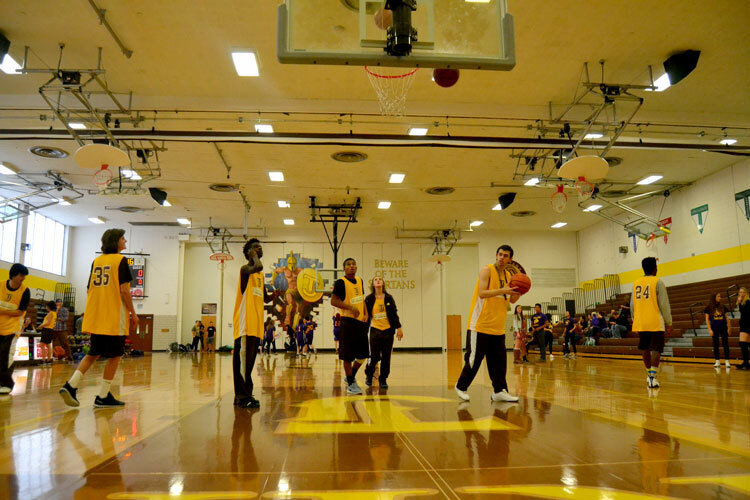 Students from the special education program have the opportunity to play sports such as basketball or volleyball at TJ with other students, allowing them to benefit through exercising in a social and fun manner. Unified has been at TJ for many years, and the program only continues to improve. The idea of creating an opportunity for members of the special education program creates a greater sense of equality through the TJ community. In Unified Sports, students are paired with athletes within TJ, “partners,” for training and competition. “I love watching peer helpers take leadership roles and again further the process to grow the program,” explained SPED Teacher and Unified Sports instructor Elizabeth Lynch. The class takes place fourth period, and students have the opportunity to participate in fun activities along with their partners in order to learn from one another. Each group of partners work together for two week periods before receiving a new partner, allowing students to form relationships, learn from others, and have fun through competition. The program creates a greater sense of equality within TJ, and gives students a reminder of their importance and significance in the school. The class is offered to students within TJ in hopes that students will improve skills that they can use in the real world by taking chances and making choices that will impact their futures. The idea of combining those with intellectual disabilities and those without has been around for many years, but the idea is only expanding. Now, all sports are included in the Special Olympics, and many national and local competitions take place. The Unified program at TJ continues making improvements and allowing athletes to improve their physical fitness and social skills through fun and competition. TJ hopes to incorporate more sports teams within the Unified Sports program other than basketball in future years. School spirit towards Unified has been growing stronger, and there are high hopes that more will become involved and support the program.